Holds a Single Jumbo Cupcake in a 4 x 4 x 4 Cupcake Box. 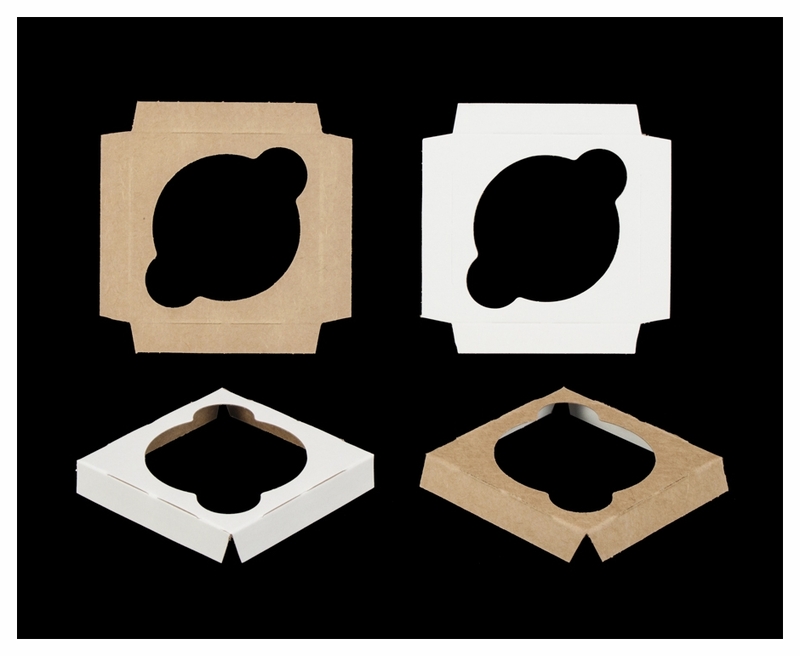 This jumbo cupcake box holder insert is custom designed to perfectly fit any of the 4x4x4 cupcake boxes you find on brpboxshop.com. We have cupcake holders for various counts of jumbo cupcakes, but there is a certain singular elegance to see your jumbo cupcake presented in its own cupcake box and tray giving a solo performance. Swirls of mouthwatering frosting can make your cupcakes top-heavy. This is especially true for the jumbo cupcake breed. 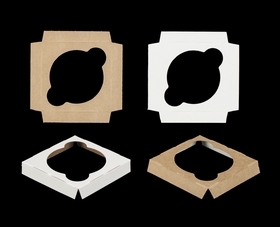 Your Box Shop has designed these jumbo cupcake inserts in order to keep your heftier cupcakes steady in the boxes they call home. Perfect for my unique needs! These inserts work perfectly for my mini-me little pies. Holds the pie in place and adds a classy and professional appearance to the product. I have always received excellent customer service from Brpboxshop. Best UsesHolding and presenting your bakery gems in the best light! overall experience from day one. I LOVE my boxes. I always buy the jumbo boxes, mostly in pink and sometimes in white. They help me give an awesome presentation. The ones I buy are sturdy. Shipping is free and fast and 99% flawless. Keep up the good work! 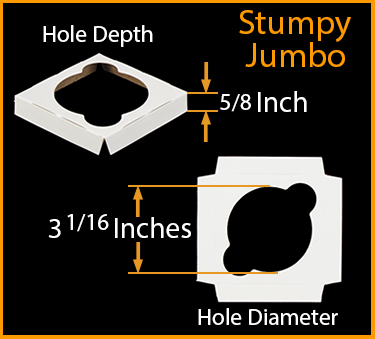 What is the diameter of the jumbo cupcake insert cut-out?